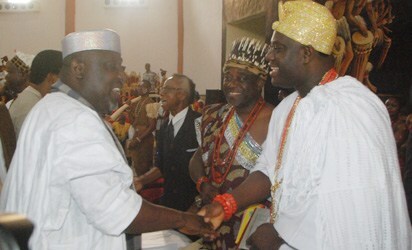 Oba Enitan Ogunwusi was among those present at the just concluded Yam festival in Owerri Imo State. 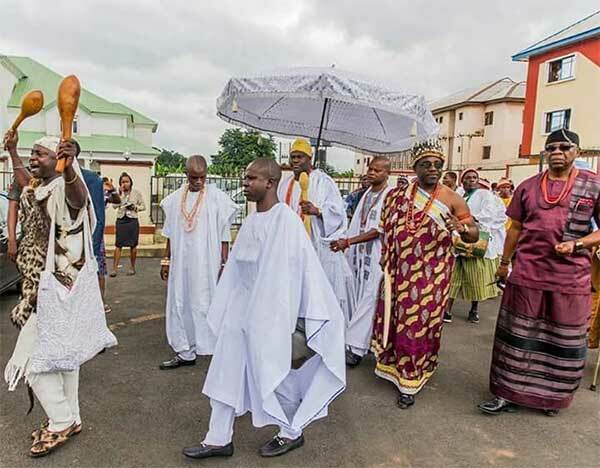 The Ooni of Ife was among the dignitaries received by Imo State Governor Okorocha and Eze Samuel Ohiri yesterday. 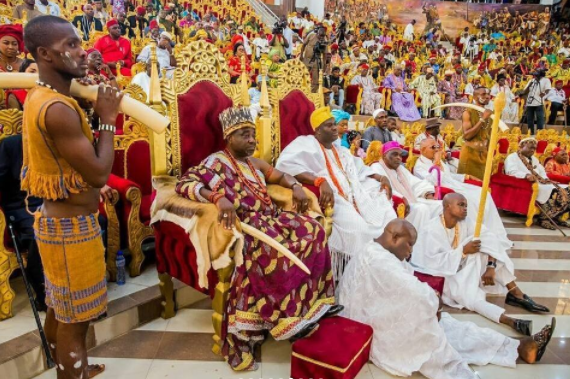 Oba Ogunwusi was previously accused of disrespecting the sacred throne of Ooni because he is fond of attending common events . He last came under fire in August when he attended a local football tournament in Iseyin, Oyo state. 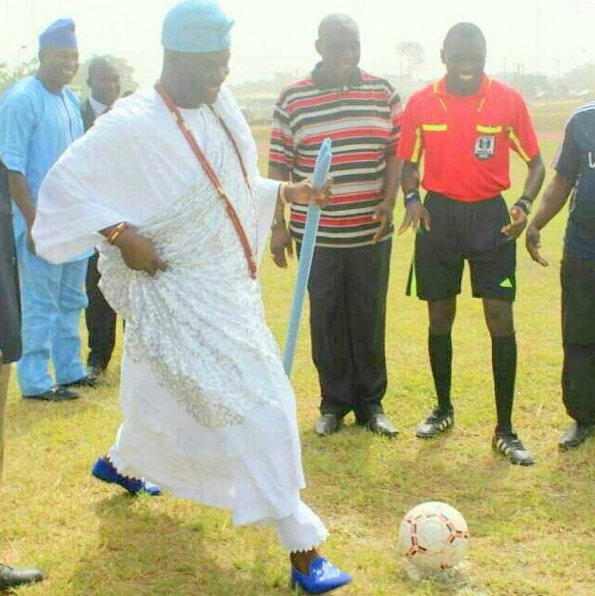 Oba Ogunwusi even took his time to play football in full Ooni regalia. @ mimiiiaaaa,Igbo girls of all tribes? Igbo girl go sell the palace off within one month, she go even collect change with their 419 and wuruwuru brain.You dey crase.If you so love the ex queen,why dont you look for one of your brothers to marry her? if you say rubbish about this king again,I go slap your face. 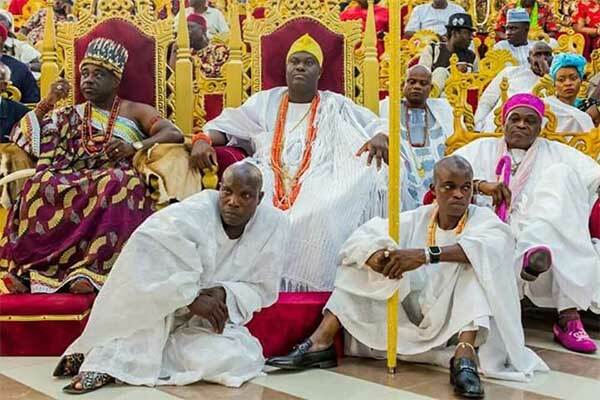 This is the real man of the people and man of nation; Nigerians need this type of king as a president not triberlistic like we have now as president. May the king of kings give you wisdom just as he gave Solomon, the king of Israel, bless you with many more wealth and give you long life, good health; you will live longer than the former ONNIS and the coming ONNIS? You generations will be bless, you will never see evil and evil will never see you in your life, sickness will never see your foot print. In the Mighty names of Jesus Christ Amen. This king is very extraordinary person, an Angel in human, God bless you my king. 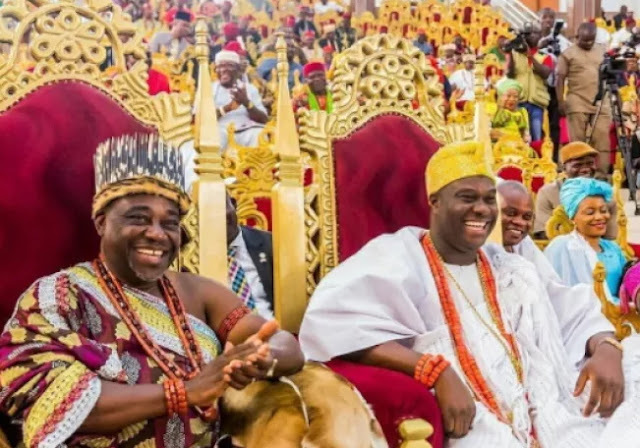 I am not a Yoruba man, but this king action and love for all tribes have move tears down from my eyes, irrespective of crisis the south East, still he visit there, I will continue to pray for you always in my life. May the Gods of all Igbo land bless you my king, iseee. @Bose..don’t mind that that ehtnic **** she or ***** mimmia..you igbos don’t really understand the hatred you guys have caused of the recent that’s going to last for generations to come among the yorubas and the hausas with this ur recent biafraud noise making..your dnas is full of hatred, envy , jealolousy and wickedness..that’s why everywhere you go all aroung the world you *****keep tarnishing my great country nigeria’s image..my Yoruba people let me tell you guys what happened recently last month to be precised..my father was a former registrar of oou ago-iwoye and he’s been out of the country off and on since 2010..can you imagine since we’ve been hiring gatemans from different tribes no one has ever defrauded my dad..but alas for the first time he hired one useless igbo guy..do you guys know before a month..this he-goat stole the all my father’s three big iron generators.. you know those type of generators used in factories and large companies that is so heavy and always tied with knots and bots to the ground..only God knows how this 419 useless igbo animal was able to dismantle the entire parts of the generators and ran with them.. just within a month he was hired..now he’s no where to be found..it’s stories like this that can ignite hatred for a useless ethnic group like this not to talk of the recent chaos that is happening in the country right now..no wonder they are been killed in south africa and other parts of the world..couple with the hate speeches..disdain for this ehtnic group is an understatement. He is fulfilling the mission God has sent him- Unification of Nigerians and the black race . He is a man with a good heart . Pls stop criticizing him as he needs our encouragements.